Sitting here watching "Rush" with my youngest who is a new driver and we are just a few minutes into the movie and I'm smiling. It's not the first scene with the beautiful Chris Hemsworth and his musical british accent but the first scene of the first race and the music from the 70's that wafts over the sounds of engines revving that has me smiling. As a kid there were four channels on our TV sets. Every Saturday morning my Dad would make us a breakfast that included something and grits. We always had grits. Then we would sit in front of the TV and watch Scooby Doo and then on to the best part of the day. The Wide World of Sports. The Thrill of Victory and the Agony of Defeat. Every Saturday they would go around the world to find the most exciting sports that were going on and they would bring it right into our living room. I loved seeing all of the places around the world where they would go but most of all I loved the racing. 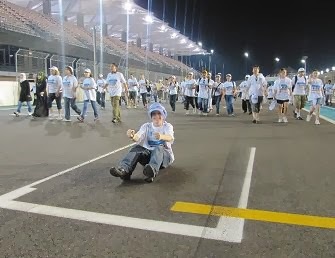 Car racing as a sport. It was magical. I loved the idea of having a fantastic pit crew who would all work together to quickly make adjustments and get the car and driver back out on the course. One of my first heroes behind the wheel was Mario Andretti. I loved watching him race and I loved seeing the celebrations after the race. I couldn't even imagine the thrill that must have inspired Mario's huge smile that seemed bigger than life. Over the years I have only been issued one speeding ticket. There really isn't any point in exceeding the speed limit on regular roads. But I have always pictured myself to be a driver. My first car was a Honda CRX which I named Louey after Louis Lipps of the Pittsburgh Steelers. Both Louey and Louis had similar moves. They could easily dart in and out of traffic. I had learned how to drive on the streets and hills of Seattle in a stick shift manual transmission. In an ideal world everyone would learn how to drive a manual and learn how swim when they are little. It always amazes me when I meet people who don't know how to do either. Since getting my license I have driven across the country several times and gone on several extended road trips. I keep thinking to myself that someday the road trip will lose its appeal and that I will dread packing up a car for a trip that puts me in the car for the entire day or several days. That hasn't happened yet. So here I am watching Rush and it is all coming back. The fun of shifting gears, the scenes of these races being broadcast on TV, and excitement of the sport. We are now into the movie about 15 minutes and the thing that I love the most, and the thing I remember the most, is the look in the driver's eyes. 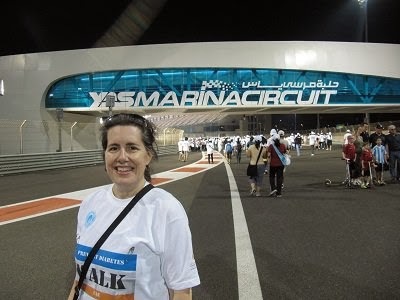 A few years ago we spent the afternoon out on the Yas Marina Formula One race track where we got to walk the entire course during a fundraiser for diabetes awareness in Abu Dhabi. 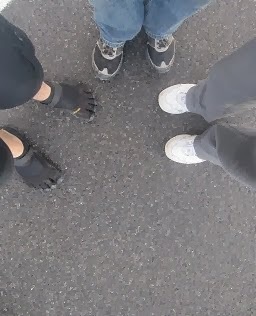 It was a fantastic day walking along the course where the cars race, getting to walk right by the bays where the mechanics were working on some of the cars. We were there just before the grand opening of Ferrari World, an amusement park dedicated to all things Ferrari. 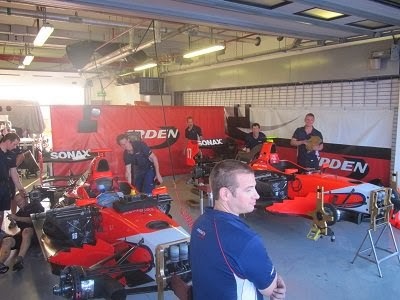 The four pictures in this post were all taken on the Formula One course in Abu Dhabi at Yas Marina. * There are some brutal scenes in the movie because of the crashes and resulting injuries so you may not want your little kids watching this movie. Also, yes, smoking was a big thing in the 70's and there is alot of smoking depicted in this movie. Ok now I have to get back to watching the rest of the movie.